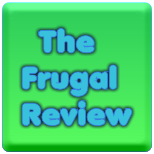 FRUGAL REVIEW: Great List Of Black Friday Deals, Plus $10 Gift Card From EBATES! Great List Of Black Friday Deals, Plus $10 Gift Card From EBATES! Submit email address and earn $10 Gift Card Bonus from EBATES.com. Find sales, deals and coupon codes while earning cash back!